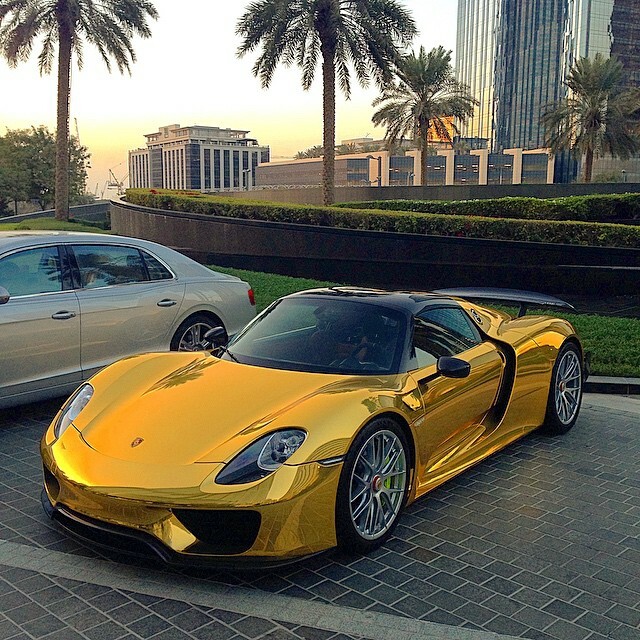 It was just a few days ago we found a gold-wrapped Lamborghini Aventador in Qatar, today we have an another gold plated supercar spotted by an eagle eye in the deserts of the Middle East. 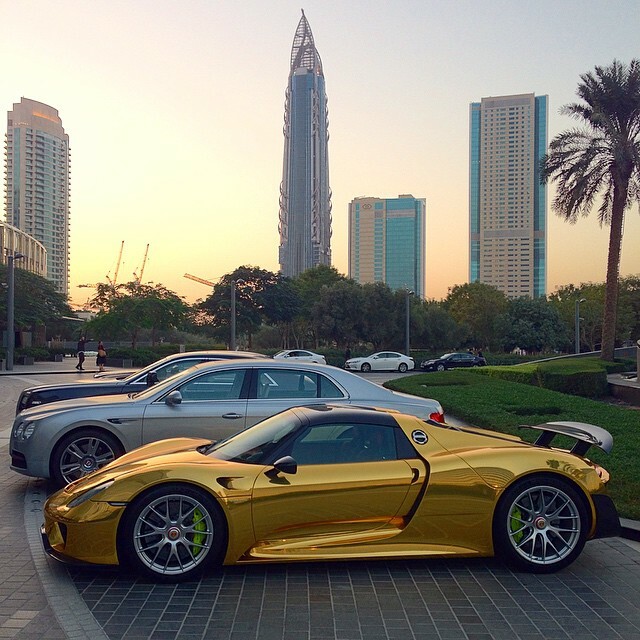 Patrick3331, who was born with a talent to spot extravagant luxury and supercars has come across this little gem parked outside a hotel in Saudi Arabia. 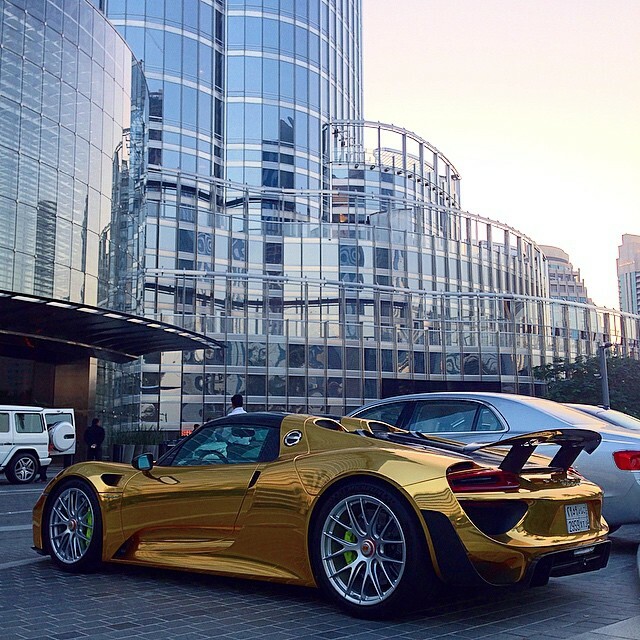 You can see the limited edition Porsche 918 Spyder No.222 in all its glory, decked out in gold. 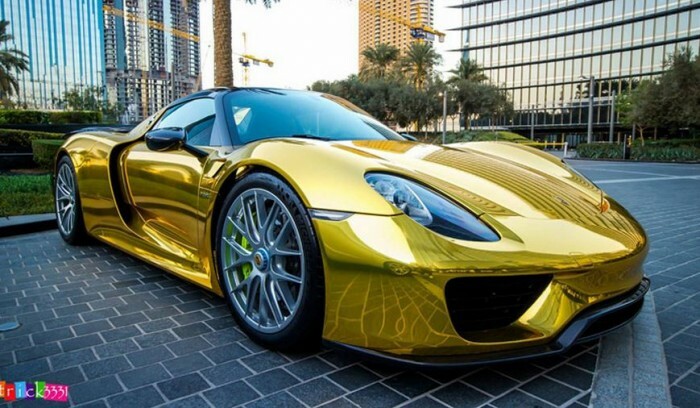 Every bit of carbon fiber you can spot on the Porsche 918 Spyder is chrome-gold wrapped including the roof, rear wings, door mirrors and frames of the windscreen. 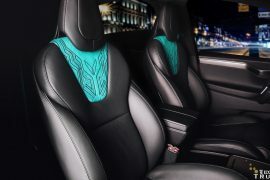 Also important to note the use of carbon fiber as part of the optional Weissach Package helped reduce the weight of the car by 88 pounds, consequently enabling it to drive a bit faster. You can watch Patrick3331’s video here.